Our strategy is simple! Do it right and do it better. This requires a thought out strategy though. Let’s face it, business isn’t what it used to be and in many cases, integrity seems to be a thing of the past. Not at GrassFire. At GrassFire we are setting out to prove that integrity and hard work still exist and that there are still companies out there worth loving. For us, it starts with a solid company culture. Number one. GrassFire isn’t about crazy bonuses, extravagant trash and things of that nature. We teach that we shouldn’t be focused on money and we practice what we preach. Instead, it’s all about making an lasting impact during every single session. We are here to change lives and that’s not going to happen if we are thinking about ourselves. Number two. Our clients are the whole reason we are in business so our focus in on them. We need to do right by the client at all times. To achieve this, GrassFire needs great programs provided by hard-working, honest and dedicated teammates that take pride in their work. Number three. GrassFire selects only highly motivated people to be on the team; people with a desire for personal growth, professionalism and that are willing to take pride in their work. But you only get these kind of people when you have a great work environment. Number four. GrassFire provides a workplace that is family friendly, relaxed but still productive and reliable. We recognize that our teammates have lives but our teammates recognize the importance of doing their part and providing quality programs. 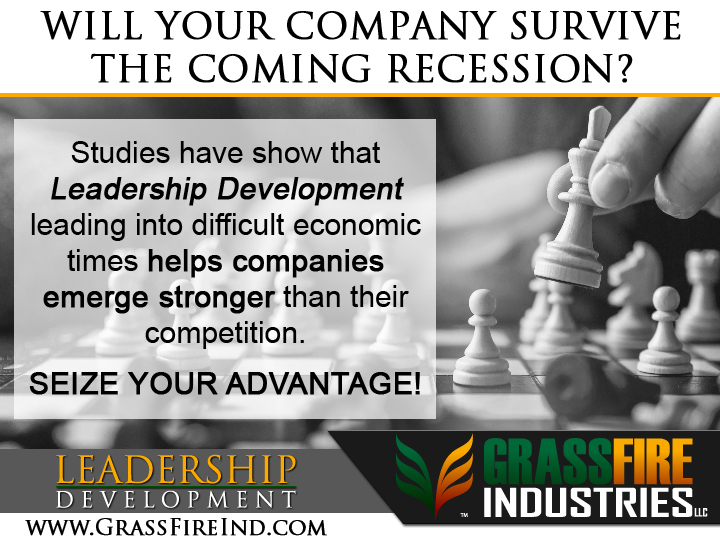 Our teammates recognize that when our clients win, GrassFire wins. When GrassFire wins, our workers benefit. This has a lot to do with our company culture. Number five. GrassFire continually strives to ensure a company culture that fosters integrity, personal responsibility, innovation, mutual respect, tolerance and humility. At GrassFire, we recognize that we all have a different role, but we all understand that we are valued teammates. In other words, our kicker is just as important as our quarter back; our setter is just as important as our libero. Our company culture is unique in that it prides itself on personal growth and exploration and all without the cancer of self-entitlement. This is due in great part to our commitment to empower one another. Number six. At GrassFire, we don’t have managers; we have leaders. There is a big difference between leaders and managers and we ensure that each of our leaders understands this difference and acts accordingly. Number seven. We hire from within or from our student pool whenever we can because it’s the right thing to do and because it helps to ensure our company culture and future success. Furthermore, we know that there is plenty of untapped talent out there and we encourage everyone to explore the many opportunities that we are able provide. These opportunities are usually created through hard work, study and innovation. Number eight. We encourage our teammates to share their ideas and take ownership of those ideas. Someone with an idea today can be a director in charge of that idea tomorrow. We love it when someone has a great idea. It not only creates the potential for a new service or program for our clients, it provides more opportunities for our teammates and future teammates. Innovation is the key to our growth and our long-term sustainability. Number nine. The future is unknown and this includes the outcome of our company. At GrassFire, we know that the future of this company will be decided by our clients and our teammates. So, we are doing everything we can to build a strong foundation today. This foundation must be built on pride. Number ten. Each of our teammates must take pride in their work. Each task that we complete has our name on it. It’s not just GrassFire’s name, it’s actually the teammate doing the work. That’s why we encourage each one of our teammates to take pride in their work. This kind of pride ensures quality for our clients. When our clients get quality work by someone proud to do that work, that clients gets quality results. When that client gets quality, that client will tell their friend which leads to sustainability. In other words, when we take pride in our work, we do it right and we do it right… we get to do it again! Doing it right, doing it better and doing it with the right teammates. Awesome! When you promote a worker into a leadership position, you want to ensure that the worker is gaining more than just a new title and a pay raise. Enroll them into leadership development so that they can hone or gain the skills necessary to provide you the best outcomes. Copyright GrassFire Industries LLC © All rights reserved.